Help Yucatan Sam explore the dozens of terror filled chambers that create the mystical temple of the Mayan god Quintana Roo. 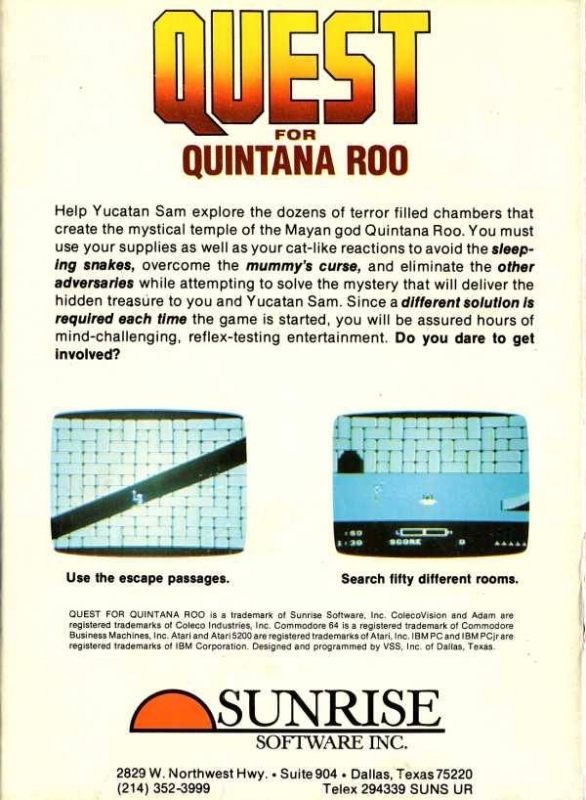 You must use your supples as well as your cat-like reactions to avoid the sleeping snakes, overcome the mummy's curse, and eliminate the other adversaries while attempting to solve the mystery that will deliver the hidden treasures to you and Yucatan Sam. Since a different solution is required each time the game is started, you will be assured hours of mind-challenging, reflex-testing entertainment. Do you dare to get involved?